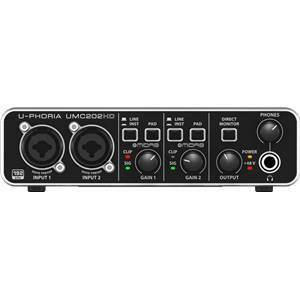 The Behringer U-PHORIA UMC202HD USB Audio Interface is a 2x2 USB 2.0 audio interface for recording microphones and instruments. 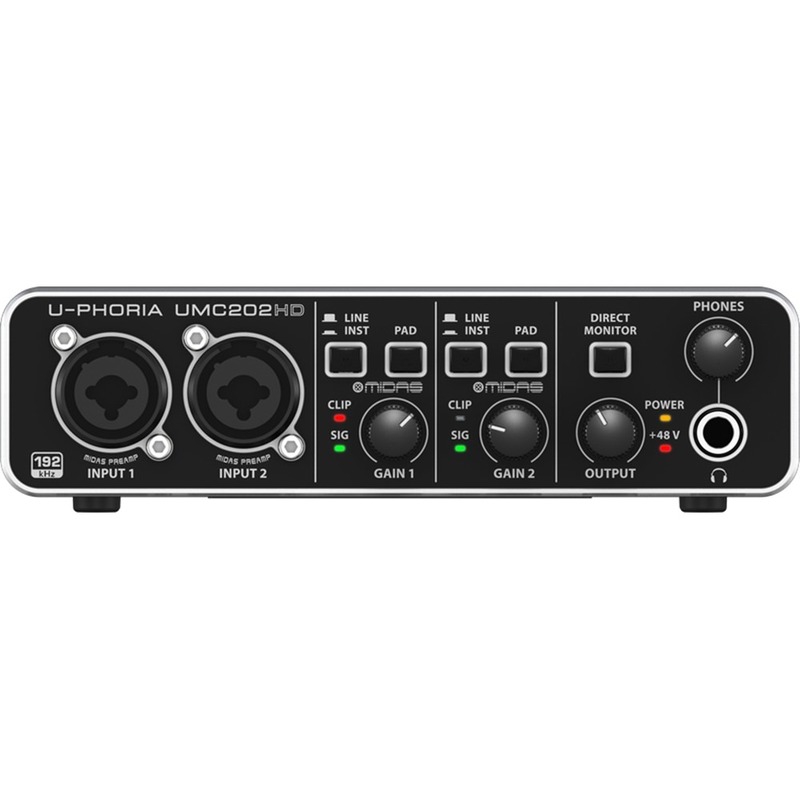 The Behringer U-PHORIA UMC202HD USB Audio Interface is a 2x2 USB 2.0 audio interface for recording microphones and instruments. 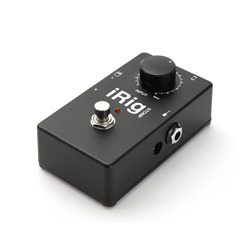 With it you'll be recording your next masterpiece in minuets with all the connectivity required for your microphones, guitars and keyboards. 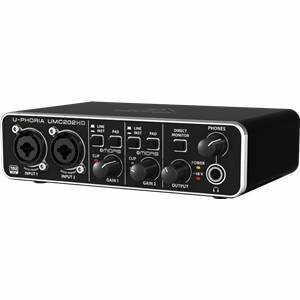 It comes included with its own free audio recording editing and podcasting software, as well as 150 instrument / effects plug-ins. With two pure, world class MIDAS-designed mic preamps, you'll be recording the perfect vocals straight to your DAW of choice. The preamps include +48V phantom power meaning you can choose between your favourite condenser microphones, that'll be recording through studio-grade 24-Bit/192 kHz converters for the best possible sound quality. Whether you're on a Windows or Mac computer, the UMC202HD makes it super easy to capture ideas and make full on songs. The UMC202HD offers complete, zero-latency monitoring, meaning you can experience your performance with no with no delay or lag in the returning signal, resulting in a better performance and recording. The headphones output has its own level control and monitoring A/B source select, making it possible for DJ-style cueing. On the rear of the UMC202HD you can find the USB 2.0 port for an easy connection to your computer. 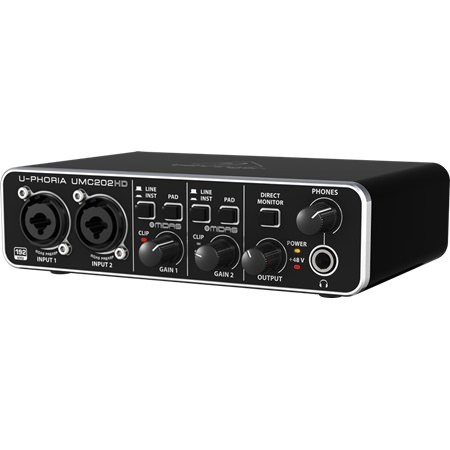 As well as this there are a plethora of analogue playback options including 1/4" TRS, RCA and XLR. 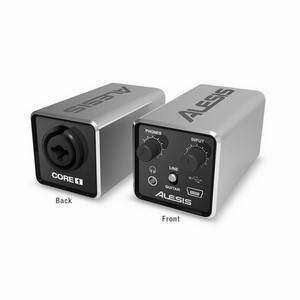 The front features the two combo XLR/TRS connections allowing you to use microphones, instruments or line level sources. These both have their own gain level knobs as well as indicator LED's for signal and clip. 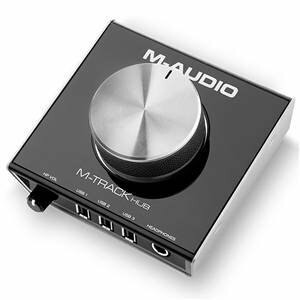 The headphone output with its dedicated volume knob is found here along with the main output knob, which controls the volume of your monitors. A direct monitor button which is used for if your finding latency when monitoring. 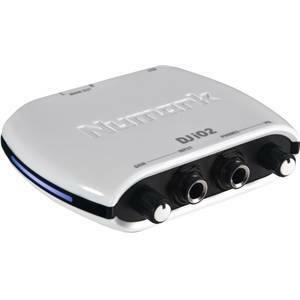 It takes the signal and passes it straight to the headphone and line outputs on the device. The signal will also be sent to your daw software allowing the input to be recorded at the same time.